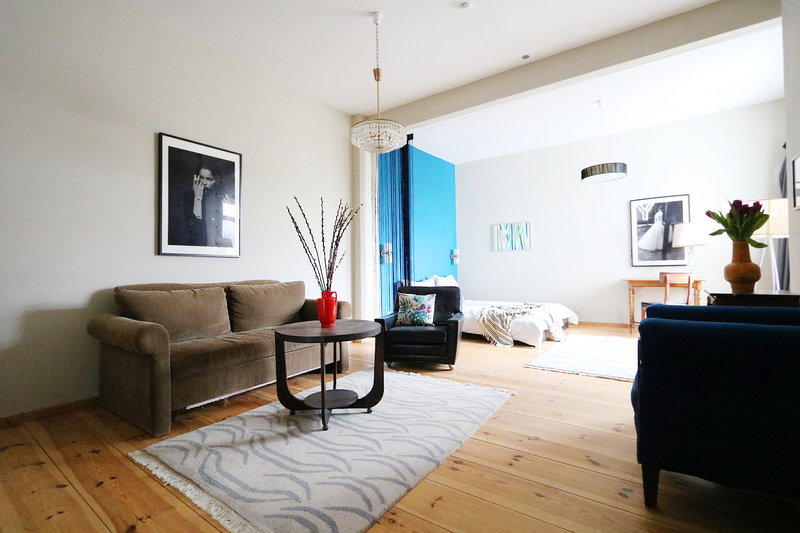 This spacious 110sqm 3 bedroom apartment is modern and a perfect home for four people. 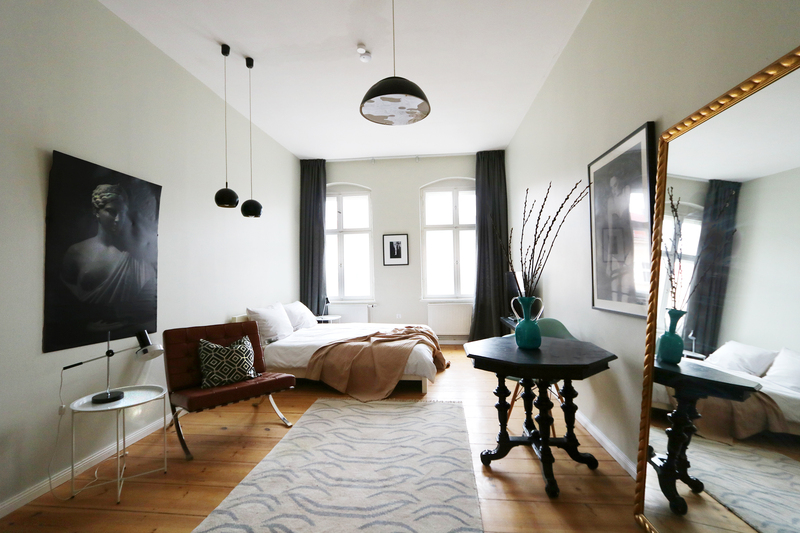 The apartment pristine wooden floors, featured throughout, are enhanced by its high stucco ceilings. 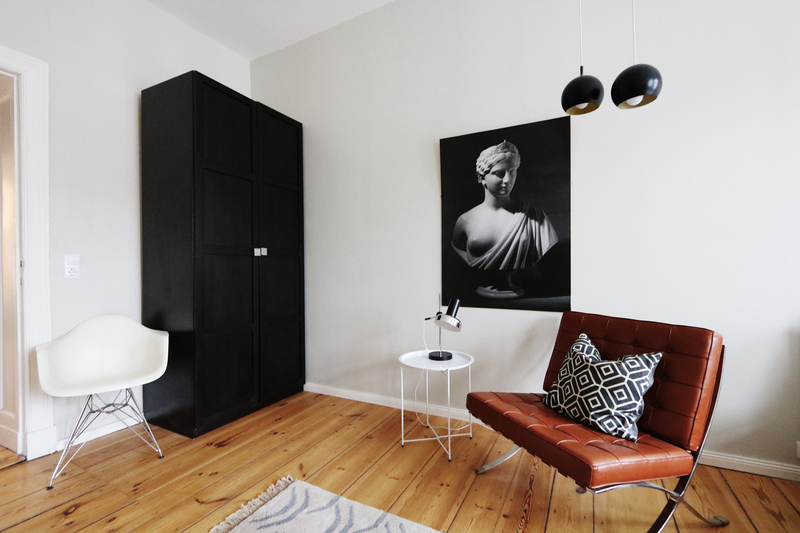 This clean and modern apartment is made authentic through its eclectic and tasteful décor with an eye to details. 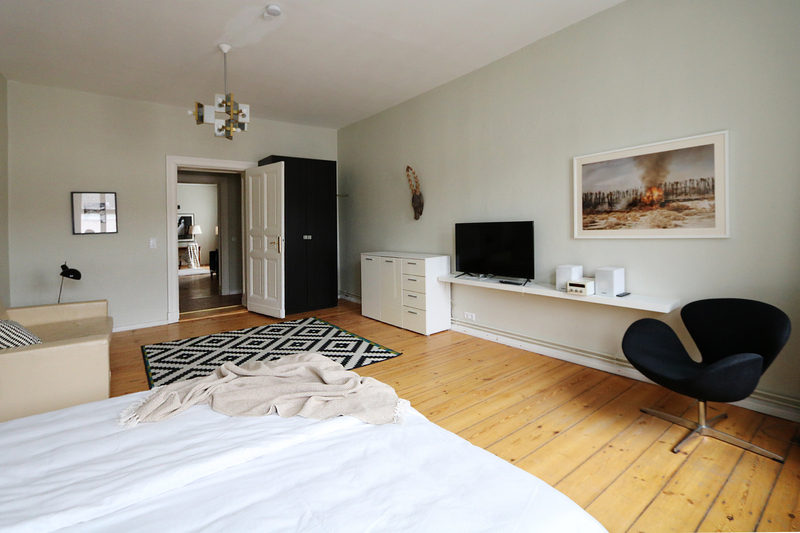 It also offers Hi-Fi stereo with CD/DvD player with connection for MP3-Player/IPod/iPhone and 32 toll flat screen TV in both rooms. 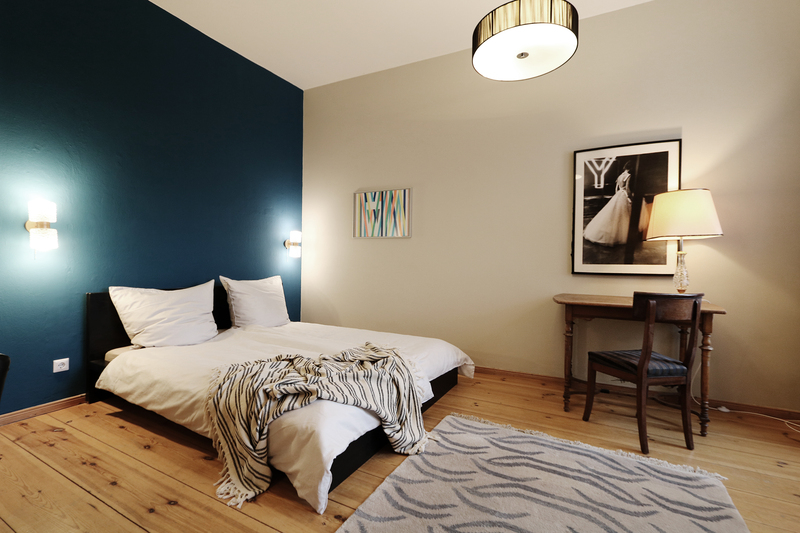 There are two light-filled, airy bedrooms - both with queen size beds, plus the living can be used as a third bedroom or guest room including 2 sofa beds which additionally can be transformed within seconds into large comfortable double beds. The large custom made kitchen is fully equipped with refrigerator, dishwasher, stove, coffee maker, microwave, grill, toaster etc. The dining table can seat up to four persons. The modern but small bathroom also provides a bath tub. Fresh bed linen and towels are provided, including free Wi-Fi. Weekly or monthly cleaning can be booked on request. 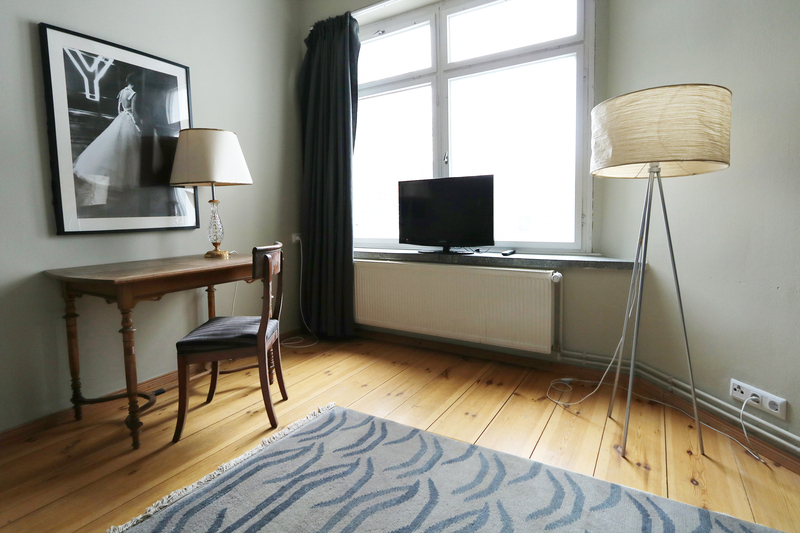 The apartment is located on beautiful Marienburgerstrasse connects Prenzlauer Allee with Greifswalderstrasse - in the so-called Winsviertel of their eponymous street it is centrally crossed. The Friedrichshain park is located within 10 minutes walking distance. 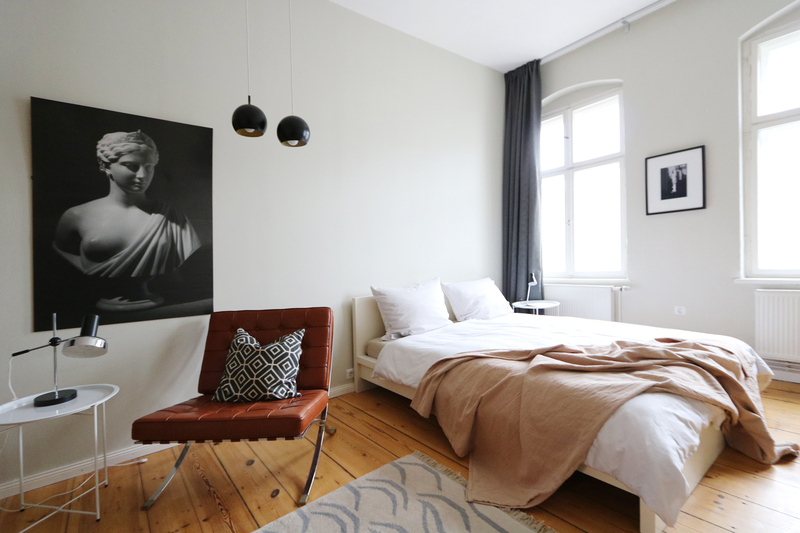 The house is located between Prenzlauer Allee/ Greifswalder Strasse and close to several trams either direction M2/M4. The trams on Greifswalderstrasse can be reached also within a three minute walk. Not far from the scene-mile enjoy numerous advantages s.a diverse restaurants, cafes, bars and galleries, little boutiques and stores and several groceries shopping opportunities. Alexanderplatz (TXL Airport Express), Hackescher Markt and Torstrasse as well The Soho House are close by. The new city castle, the Berlin Dom and the famous Museum Island (Museuminsel), a UNESCO world heritage with five world-renowned museums, is only 15-20 minutes with public transport. Berlin Hauptbahnhof is 20-odd minutes by tram and S-Bahn. However, enjoy a peaceful and bourgeois suburb in a sympathic quite but vibrant side street and be pleased with the excellent infrastructure. The damage deposit is due in cash on arrival along with the remaining rental payment. 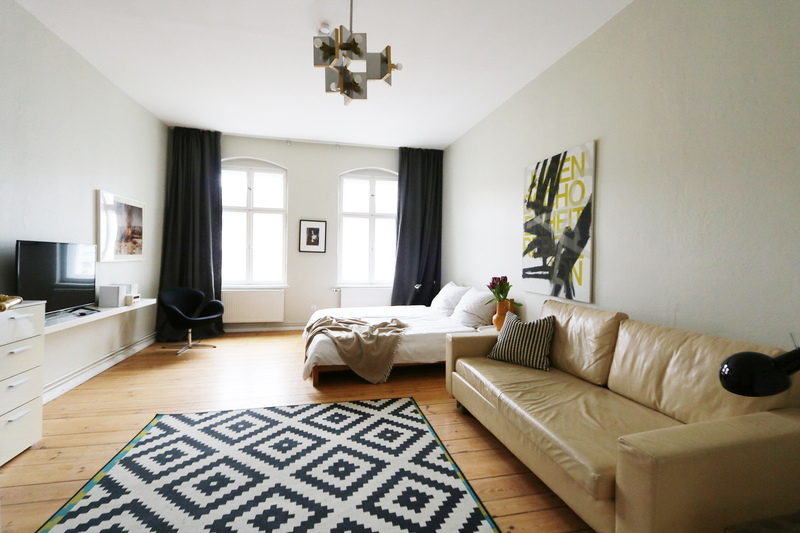 Provided there is no damage in the apartment, it will be refunded at departure. Please note, that for bookings of more than 30 nights the deposit might be higher. In case the prepayment was less than 100 euro, you will get a coupon for a future booking for the returned amount. In case of an earlier departure or change of the number of persons, prepayments are not refundable. In addition to that there might be cancellation fees by the owner for cancellations less than 30 days (or more for rental periods of one month or more) in advance. Each owner can choose from 3 different cancellation policies, which is shown in the apartment listing, see details below. These Dates are reserved, but not yet booked. You can send a request and in case the apartment becomes available, we will notify you. Minimum Stay for this Apartment is Days! Maximum Stay for this Apartment is Days! Search for available apartments for the period of your stay and calculate prices online. Then send a booking request. We will get back within 24 hours with information on how to proceed. If you haven't found what you are looking for fill in the general request form and we will search for you. We constantly get new apartments and will inform you as soon as we have something that matches your search. Enjoy the privacy of an apartment get more value for money than in a hotel. 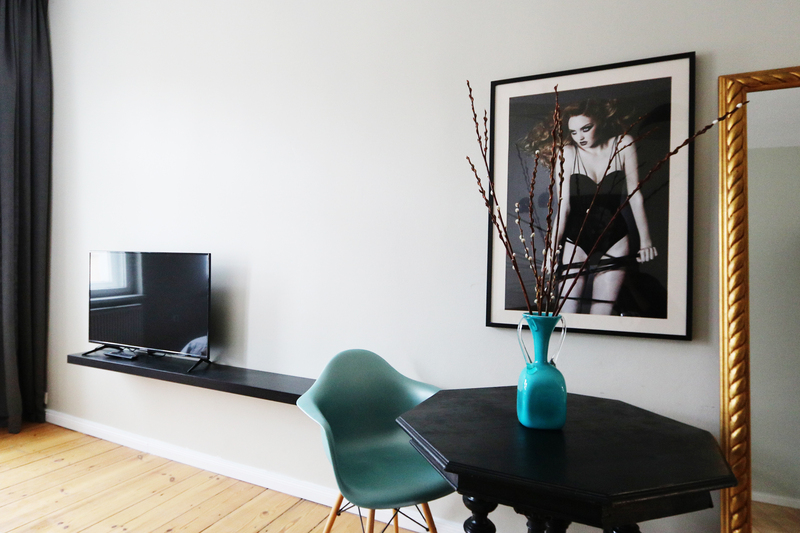 All apartments are fully equipped to make you feel like home. 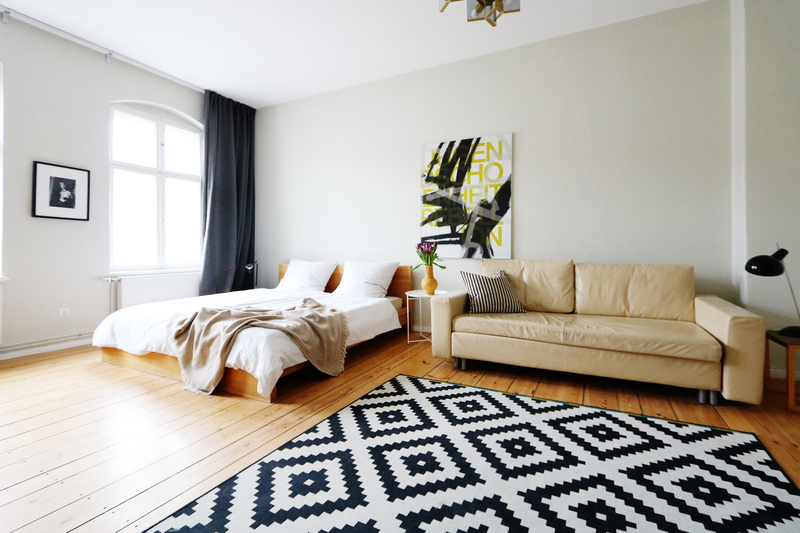 All offered apartments are visited by us to maintain a high quality standard. Enjoy the difference.